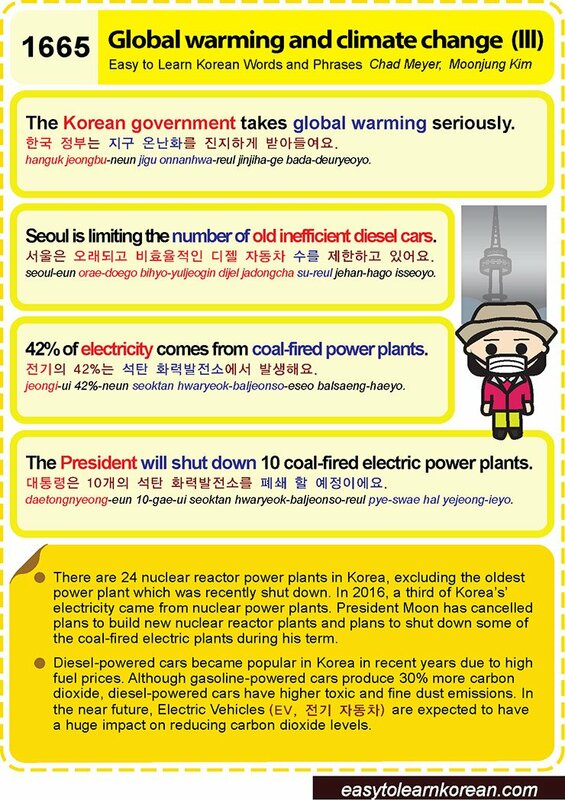 Easy to Learn Korean 1665 – Global warming and climate change (part three). Posted in Series	| Tagged 42% of electricity came from coal-fired power plants., carbon dioxide, diesel powered car, Electric Vehicle, electricity, EV, fine dust, fuel price, gasoline, gasoline powered car, global warming and climate change, nuclear power plant, President Moon, Seoul is limiting the number of old inefficient diesel cars., The Korean government takes global warming seriously., The President will shutdown 10 old coal-fired electric power plants., 대통령은 10개의 석탄 화력발전소를 폐쇄 할 예정이에요., 서울은 오래되고 비효율적인 디젤 자동차 수를 제한하고 있어요., 전기 자동차, 전기의 42%는 석탄 화력발전소에서 발생해요., 한국 정부는 지구 온난화를 진지하게 받아들여요. 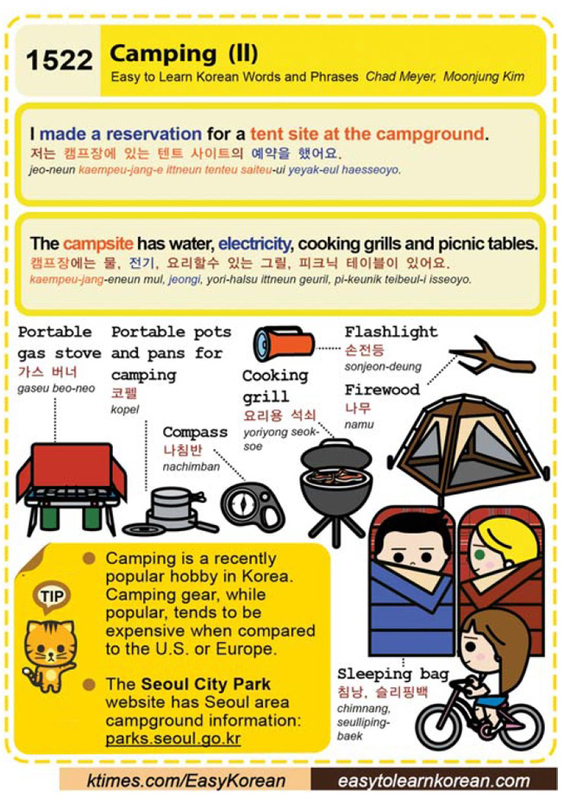 Easy to Learn Korean 1522 – Camping (part two). Posted in Series	| Tagged and picnic tables., camping gear, compass, cooking grill, cooking grills, electricity, firewood, flashlight, I made a reservation for a tent site at the campground., parks.seoul.go.kr, portable gas stove, portable pots and pans for camping, Seoul City Park, The campsite has water, 가스 버너, 나무, 나침반, 손전등, 요리용 석쇠, 요리할수 있는 그릴, 저는 캠프장에 있는 텐트 사이트의 예약을 했어요., 전기, 캠프장에는 물, 코펠, 피크닉 테이블이 있어요.